A few weekends ago, I traveled down to Virginia to celebrate my good friend Kate’s wedding. The wedding was at 5:30 pm, so I knew we would have pretty much a whole day of munching and snacking before the big moment. Mimosas were already in the works, so I thought I’d bake something sweet and pretty for the occasion. 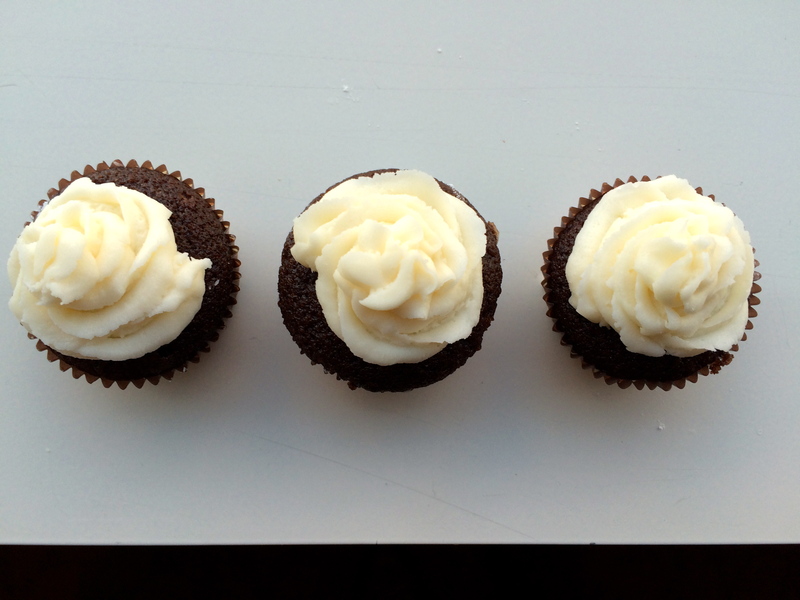 I knew Kate prefers chocolate cupcakes, so I chose a simple chocolate cupcake with vanilla frosting. 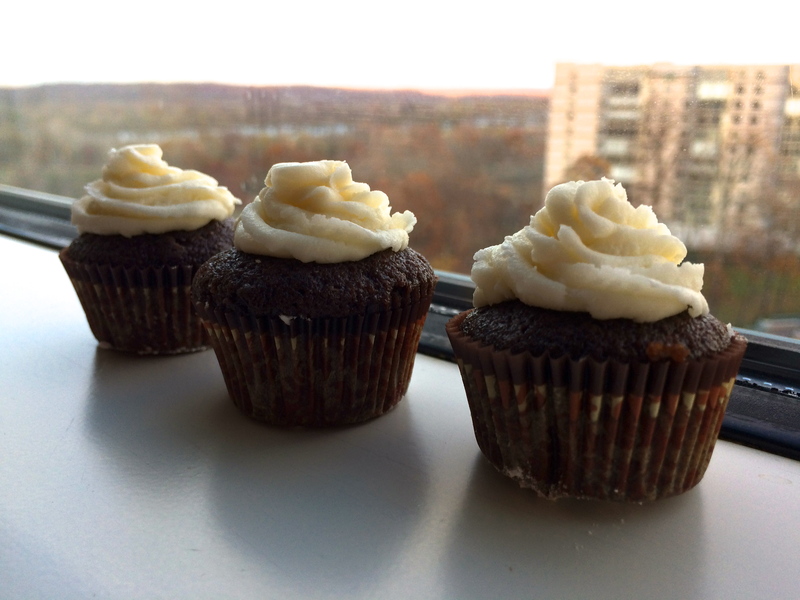 Somehow, maybe it was wedding luck, these were the best chocolate cupcakes I have ever made. They were rich with chocolate flavor but also extremely moist. The frosting was also much firmer than what I’ve made recently so I was able to pipe it into a pretty rose-style design. I realized when I got to the hotel that I should have photographed these beauties while I was still at home. Alas, the only natural light in my room was by the windowsill, so that’s where this mini photo shoot took place. These cupcakes also made me realize how perfect mini cupcakes are. They are so much more manageable and more people can have one. But let’s be realistic, I don’t think anyone in the bridal suite had just one. 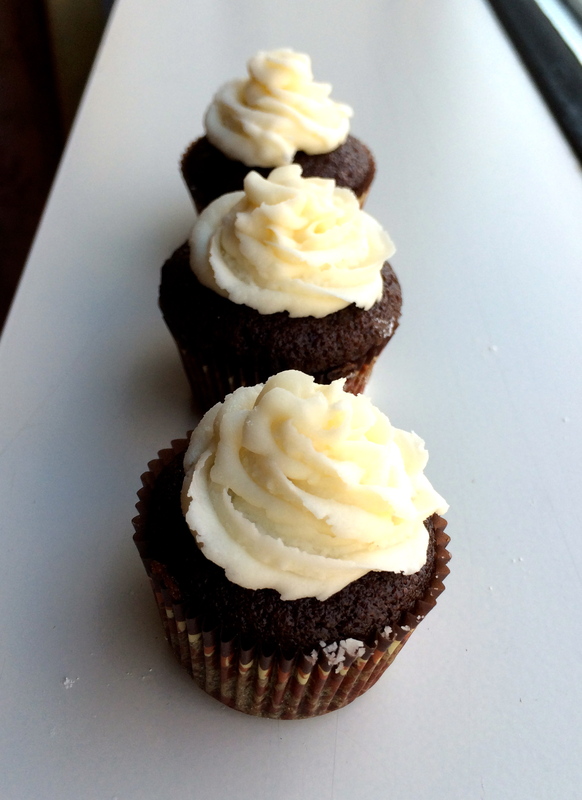 I used this recipe for the cupcakes, and this recipe for the frosting.